Why just mount your new Wheel on a desk? 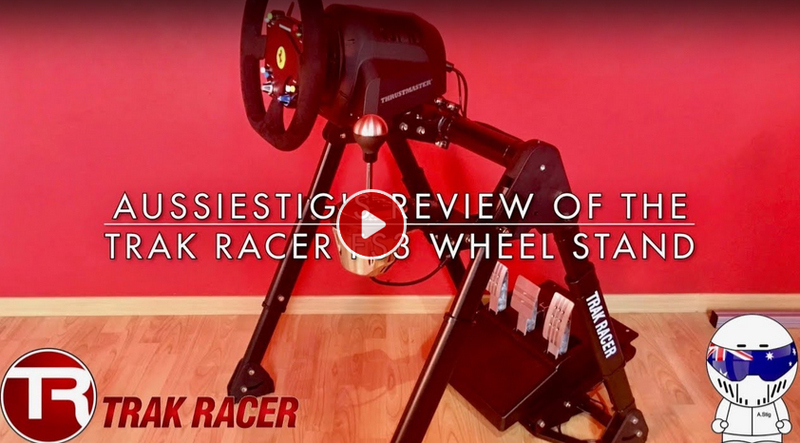 Get a full and stable gaming experience with Trak Racer's FS3 Premium Wheel Stand. 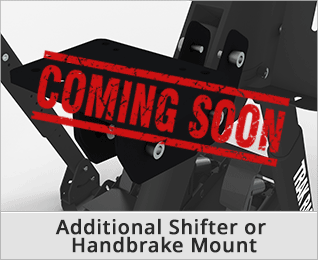 The FS3 has the most adjustable wheel mount on the market, along with adjustable pedal plate and gear shifter mount. 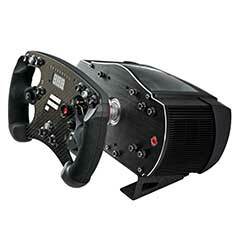 Since 2008 Trak Racer have been designing and producing high-end gaming accessories. 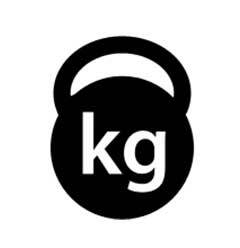 All products are unique, great looking and built to last. 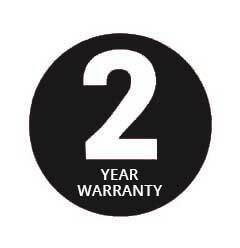 Buy with confidence knowing the Steel Chassis is covered by a 2-Year Warranty*. *Excludes normal wear and tear. 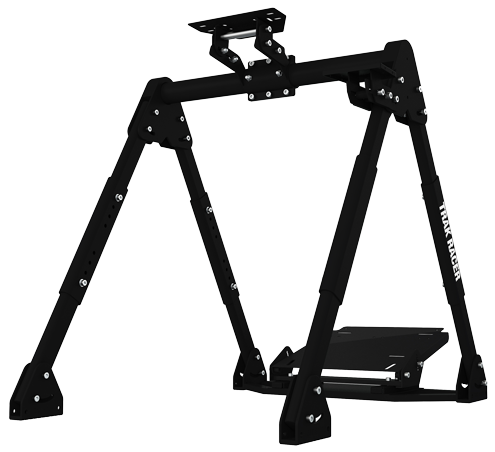 The FS3 is the wides in it's class with 65CM / 25 ½” stance. Slide in with most chairs. Seat not included. The FS3 is perfect for those with limited space but looking to improve their personal best. The FS3 doesn't skimp on materials. 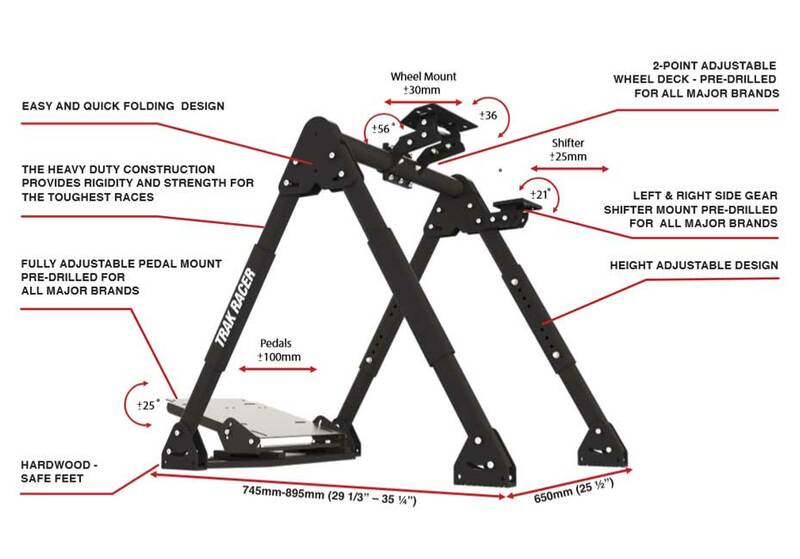 The Gross Weight of the frame alone is almost 18kgs (40bs). 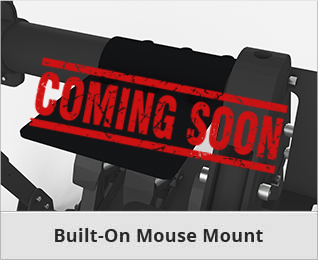 Pre-drilled mounting holes for all major brands of Wheels, Pedals, Shifters and Handbrakes. Wheel not included. Adjust the angle of almost any wheel to suit your perfect driving position. Wheel not included. The adjustable angle and slide allows you position your shifter in the perfect position. Shifter not included. Adjust the angle and distance of the pedals and increase or decrease the distance with the pedal slider. 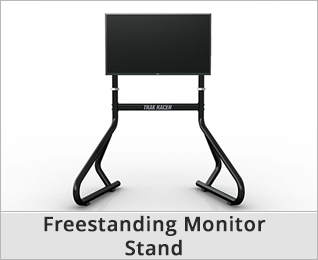 The upgraded FS3 Wheel Stand+ isn't just built to be more attractive than it's rivals; it's completely adjustable from the adjustable feet all the way up to the 3-Point adjustable wheel deck. 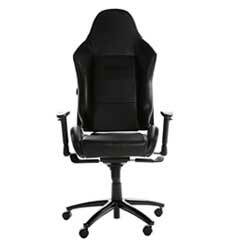 With such adjustable, the result is a reduction in stress to your shoulders and back while racing. 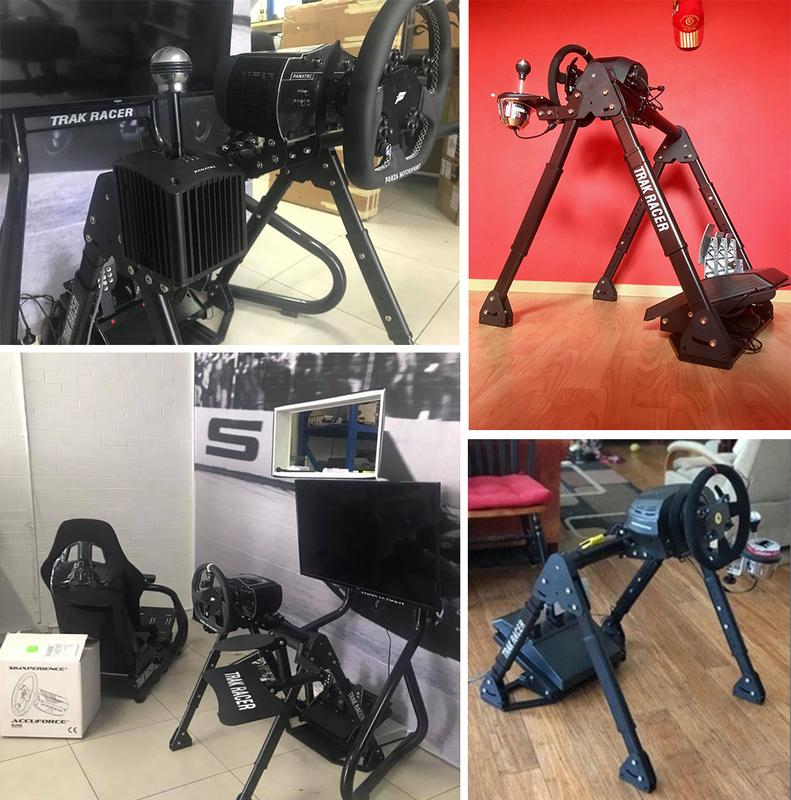 The design of all Track Racer Simulators are inspired by industry professionals as well as professional sim and road racers. Each product brings together quality materials with second-to-none craftsmanship and the latest manufacturing processes. 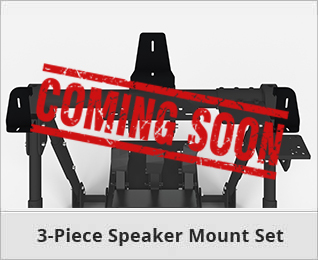 Bolted to the chassis with 8 Screws, the Wheel Deck on the FS3 will prove to be the strongest amongst it's competition. 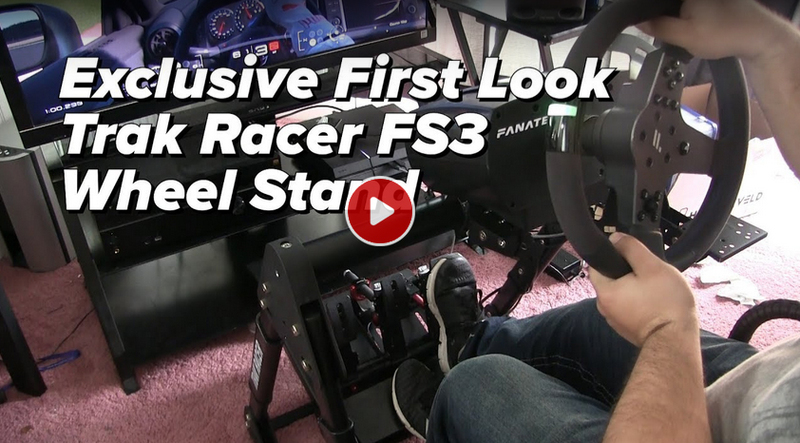 After it's stability, the Wheel Deck is the stand-out feature of the FS3. Adjustment starts at the chassis with the 3-stage height adjustment. Next the deck has the ability to slide 30mm for the perfect grip and angle adjustment to get you to give you the most comfortable position.The Wheel Deck also has pre-drilled mounting points for all the major brand wheels including Fanatec, Logitech, Thrustmaster and more. 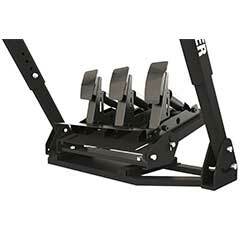 The FS3 Pedal Deck gains it's strength from the frame on the underside of it. 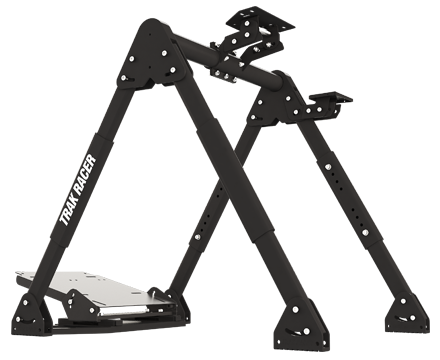 It's adjustable with it's sliding feature up to 100mm and has angle adjustment for the most comfortable driving position of any wheel stand on the market. The Pedal Deck also has pre-drilled mounting points for all the major brand wheels including Fanatec, Logitech, Thrustmaster and more. 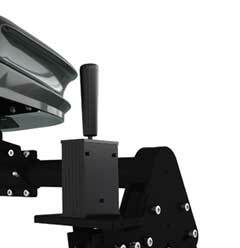 The included shifter mount incorporates both slide and angle adjustment functionality. 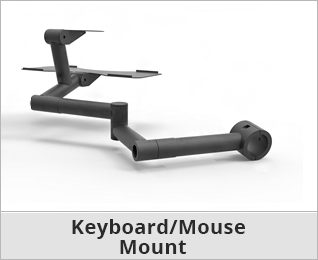 The Shifter Mount also has pre-drilled mounting points for all the major brand wheels including Fanatec, Logitech, Thrustmaster and more. Get in touch with us to see if there is a showroom in your city. Wide Leg Stance - Suitable for Office Chairs! 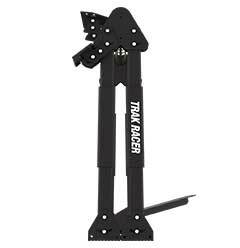 Trak Racer has become renowned for both it's strength and compatibility with all the top brand gaming peripherals on the market. Not included unless mentioned in the description. Depending on your game you'll have an advantage against the worlds most elite drivers. 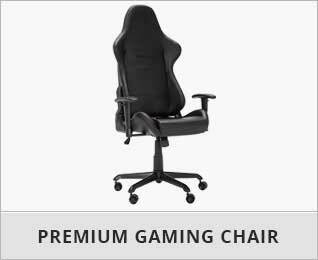 Invest in the champions rig as trusted by thousands and gain a winning edge against the competition. Don't take our word for it! Check out the thousands of positive reviews on Google. Search 'Trak Racer Game Simulator'. 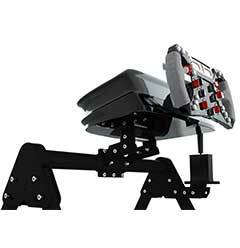 Wheel Stand Width 650mm / 25.5"
Trak Racer FS3 Racing Simulator Premium Steering Wheel Stand has a rating of 0/5 based on 0 reviews.